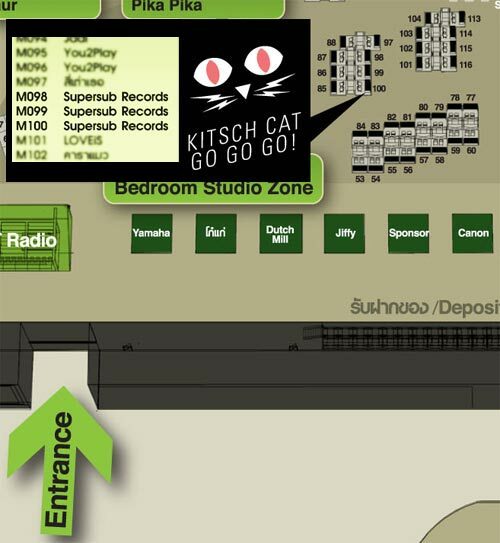 SUPERSUB ORG X KITSCH CAT X SUPERRZAAAP! The group are included Cyndi Seui, Yuri Nominee, D.J.C.S.P. blasting the eclectic groovy sounds of electronic driven pop music. your ipod and for eveyone. Here’s is the Mini Mix of this album. Check it out before the album Launch party soon. Booth number M98, M99 & M100 for loads of cool stuff and funky gadgets.